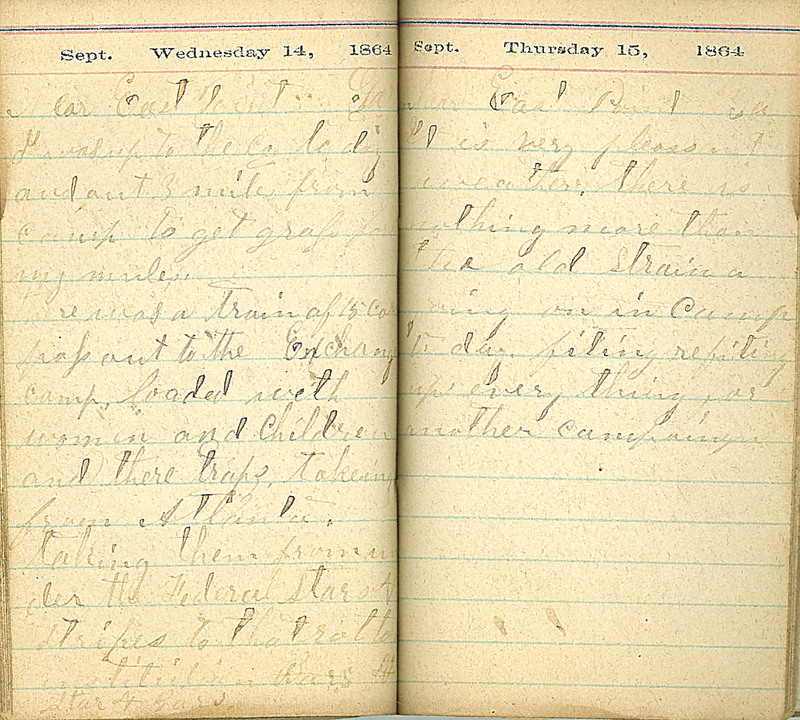 Sept Wednesday 14, 1864 Near East Point, Ga. I was up to the Co. to day and out 3 miles from camp to get grass for my mules. There was a train of 15 cars pass out to the Exchange camp, loaded with women and children and there traps taking from Atlanta. taking them from under the Federal Stars & Stripes to that rebel institution Stars & Bars. Sept Thursday 15, 1864 Near East Point Ga. It is very pleasant weather. There is nothing more than the old strain a going on in Camp to day, fiting refiting up everything, for another campaign.